This week we introduce to you Mob Bosses and a new parkour course in the Hub - Snake Parkour! We've added 2 bosses, that each come with 8 rewards when killed. The Snake Parkour is available on both Hubs, you can challenge yourself to it by walking forward and going through the right entrance in the wall. As always, we've fixed a bunch of bugs and added a few things here and there. Read on to find out more about this weeks update. Both of these bosses come with 5 skills and their own set of armor and weapons. You may notice that some of the skills between each boss are different and some are similar. The Zombie Goblin boss will serve as a tougher and more challenging boss to fight out of the two. We are planning on adding other bosses as well! Let us know what type of bosses you'd like to see by suggesting it here or joining our discord. When killing a boss, you'll be rewarded with some of its gear, some money and a trophy to show others that you've killed this boss. Drops are based on how much damage you've done to the boss. If you've dealt 40% of the damage, you'll be rewarded with the best loot. If you've dealt 20% of the damage, you'll be rewarded with medium loot. If you've dealt 10% of the damage, you'll be rewarded with some okay loot. If you have dealt damage below 10%, you won't receive any loot. We do plan on adding more and more rewards over time. We've added a large snake parkour course. Snake parkour is a special type of parkour, it requires you to jump and follow moving blocks. The blocks will move around like snakes. You can find this parkour by walking forward and going through the back-right entrance in the wall of the Hub. Thank you Leo and our developer team for the additions!! Thank you and everyone who worked on this for yet another amazing update. Can't wait to try it out! Cheers to everyone who worked on this to make Vulcan so much better! Great job everyone who made this update possible. I canÃ¢ÂÂt wait to try out all the new additions to the game. How do you guys manage so many great weekly updates? I applaud you and thank you for making Vulcan great, but how do you get the bosses? Pink, You can buy them on the store. what enchants are on the armor? how do you summon a boss? You can purchase them off of the store. 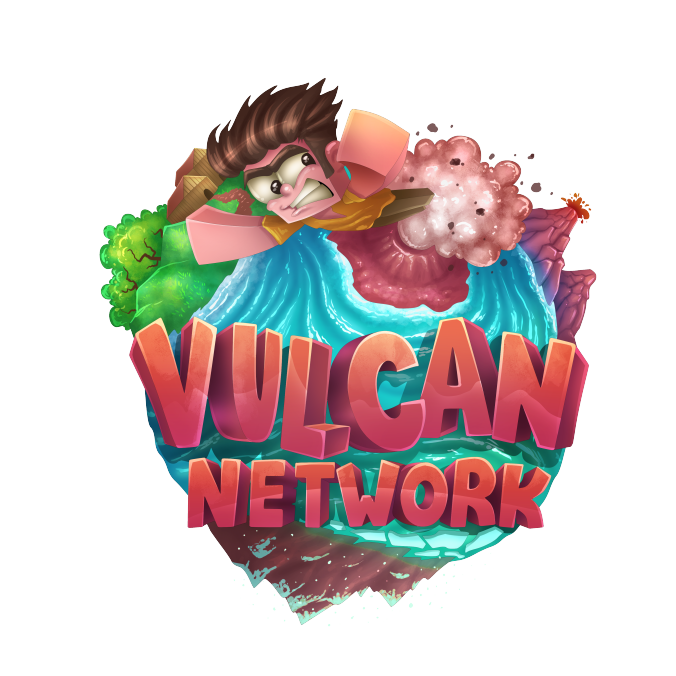 VulcanMC has been built with love and care by our management, development, and ownership team, with a staff team that is dedicated and pours countless hours into the network to make our community's experience the best around! VulcanMC is starting off with a Skyblock server with plans to grow in the near future. We have many plans for upcoming updates, so stay tuned! Join us @ play.vulcanmc.net to join our community today, see you there! Enjoying your time on VulcanMC? Want to contribute to the development and production of the network? Visit our store to do exactly this, all purchases made go into the server to allow us to expand the network, bring the ideas made by you guys to life and help keep the server up and running! Visit our store by clicking the button below.